A highland laird who’s fallen over a bonfire. Sometimes I buy a whisky just because I see it and it’s a good price, my local corner shop, actually on a corner, was selling off a few Single Malts that the owner has had on her shelves since she’d taken over two years before. I might have picked up a few bottles because they were twenty quid each, one of those bottles was the Aberfeldy 12 and here for you are my thoughts such as they are. Sometimes I think a whisky is trying a bit too hard, or it’s a bit all over place and it takes a while to settle, some are confusing and some are just hard bloody work and sometimes that’s great and sometimes not so much, it’s taken a fair few drams of this for both myself and the whisky to make our bloody minds up. Nose. Grapefruit and ripe melon, orange rind and pineapple, a little bit of smoke too, it’s strange, I don’t know why but I wasn’t expecting that at all and some people don’t find it all but I did for sure. Palate. More heat than I expected, malty breakfast bar type of bite too it, cloves, all spice and orange rind again, another touch of smoke, it’s the smoke that confuses me, I’ve had a read over other reviews of this and some get it and others don’t mention it all, I even made a point of using different glasses and went outside but it was still there, lingering about like a niggling question in the back of my mind. Finish has a nice waxy feel, a mixture of sweet citrus fruits and a little spice, it’s warm and very relaxing. Over all it’s a nice whisky but it takes a while for it to come together, a little water brings out the citrus but only a tiny drop, it’s a strange whisky this, it’s like some old posh highland laird who’s every bit the gentleman but has also just fallen blind drunk into last nights bonfire, imagine that and you’ve got this whisky. 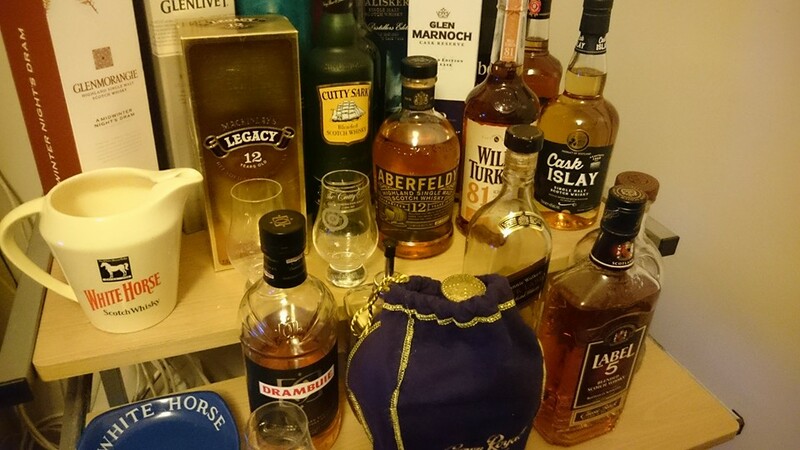 Thanks to people not buying whisky from my local shop meaning the owner sold everything super cheap. You can buy this over all the place, just not at my local shop, she only sells super cheap blends now. Next Waiting for something a bit different.